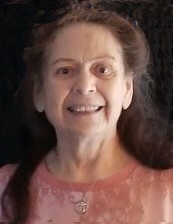 Olga Rosa Dickson died in the presence of her loved ones at the age of 81, on Tuesday April 2nd 2019 at Coral Desert Health and Rehab Center, from complications of a stroke. She lived in Santa Clara, Utah. Mom was born in Chihuahua Chihuahua Mexico March 30th 1938. At an early age she moved with her family to the United States and lived in California for most of her life. She had several different jobs including switchboard operator and secretary but the job she enjoyed most was working with students as a bilingual bicultural Aid at the local high schools. She and her Husband Charles served a mission for the Church of Jesus Christ of Latter Day Saints in Nauvoo Illinois from Sept 2010 until June 2012 after which they settled in southern Utah. She loved her family and the Gospel. She truly loved teasing people and joking with them. Even as her health declined she would give the hospital workers a hard time. She had many talents that included making cakes, flower arranging and sewing. She was happiest when she was creating beautiful gifts for others. She was especialy gifted at seeing people for who they were and loving them. She is survived by her husband Charles Dickson, her children Drew Dickson, Naim Dickson, Naomi Temple, Janell Brown and their spouses as well as 8 Grandchildren and 8 Great Grandchildren. She was preceded in death by her parents, her brother and sister and one grandchild. She was a vibrant and strong woman with an iron will who will be truly missed by all who knew her.